Aubrey Daryll Wills, Born October 3, 1938 in Menifee County, Kentucky to Gordon and Ethel Wills, Daryll roamed the hills and began a love affair with the outdoors. He attended Mt. Sterling high school and met the love of his life, Betty Lou Dunaway. They married and had two daughters, Betty S. And Rebecca Aubrey. Though he had a young family, both he and Betty worked, including a stint at factories in Ohio to earn tuition to become the first in his family to graduate from college. He and Betty returned to Kentucky, where he graduated from University of Kentucky medical school. With their daughters in tow, they headed west to Denver, Colorado. Daryll completed an internship at Denver General Hospital, while Betty worked as a secretary. 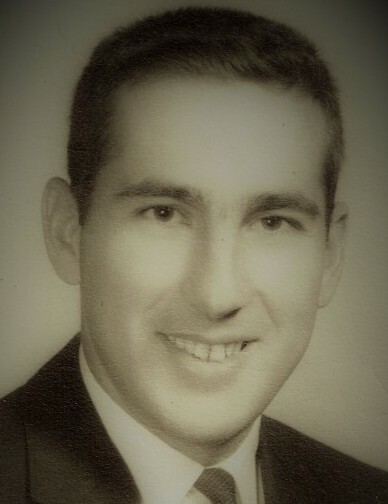 His desire for extended medical education was interrupted by the Vietnam War. Older than the usual draftee, he left with a pledge to Betty not to engage in heroics and come back home. He served six months in field MASH units, six months in Cam Rahn Bay and wrote Betty every day. In an age before cell phones and email, he delighted his family with the rare phone call and once a ham operator transferred him to chat with his family. In his distinguished military service in Vietnam as a Captain, he received 3 bronze star medals, two with first oak leaf clusters for heroism in ground combat. He returned to Denver, and completed a residency in radiology at Colorado General. Fulfilling a requirement of student loans, the family spent two years back in Kentucky, but when that time was up, moved to Wyoming, where he practiced radiology in the Big Horn Basin. His fascination with the wilderness continued, as he and Betty hunted, fished, and packed horses into the Bighorns and the Thoroughfare outside of Yellowstone. Looking for a new challenge, he took a year-long fellowship at the University of Louisville in MRI and CT. Meanwhile the numbers of grandchildren grew, and Daryll and Betty moved to Longmont, Colorado, to be closer to them, as well as to enjoy the advantage of more free time in a larger practice, after being the sole radiologist in his Wyoming practice. That free time went into establishing a farm at Basin, Wyoming and building a house to self-made plans in the Snowy Range, which occupied him and the rest of the family. Cattle ranching in the Snowy Range and Bighorn Mountains became a second career. Eventually Daryll and Betty retired to Basin full time, where his time was happily spent managing a cow/calf operation, spraying weeds, and as a member on the Basin irrigation board. His barn became too small for his collection of farming equipment, so he built a beautiful large barn, lined with blue beetle kill wood taken from the Snowy Range. His family and friends can only imagine what new projects he would have undertaken if he had not been felled by cancer. He is survived by his wife, Betty, daughters Betty S. Wills, and Rebecca Aubrey Wills (Ron), grandchildren Brian Stuart Adkins, Shannon Grisham (Bryan), and Cody James Heuer, his sister Mary Elnora Stamper and extensive family in Kentucky. Atwood Family Funeral Directors, P.O. Box 530 Basin, WY 82410. Complements of Menifee Home For Funerals, Frenchburg, KY.